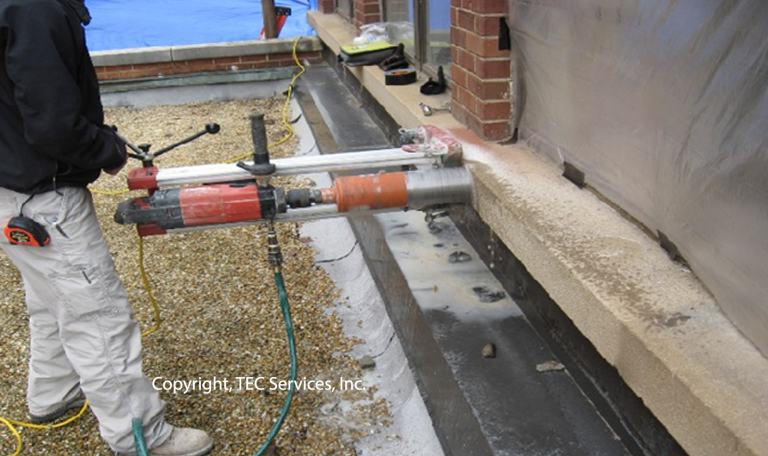 We provide complete engineering support for most roof or facade issues. Our condition assessments assist property managers to cost effectively preserve facilities and ensure safety to facility patrons. Our professional assessments also provide property managers with information such as options for recommended repairs and roof life expectancy. Our reports typically include opinions of costs that can serve to identify an order of magnitude of recommended repairs. Our forensic investigations evaluate the potential causes and the extent of distress to roofs and facades. 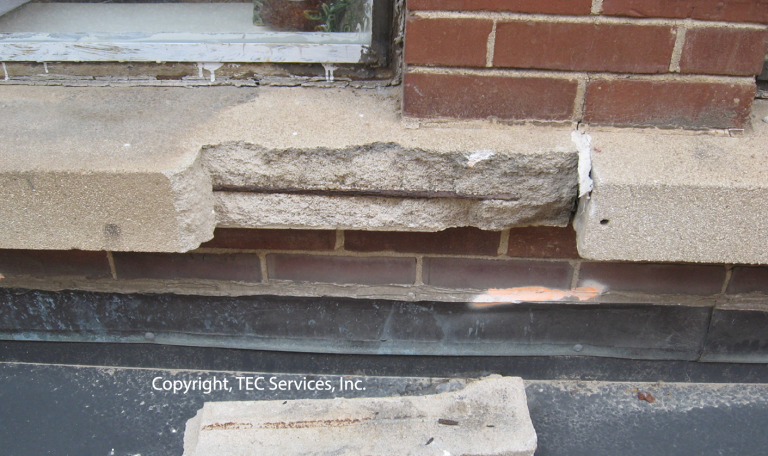 Our structural rehabilitation services range from providing conceptual recommendations to developing structural details, bid documents, and construction manuals. Having certified special inspectors and material testing technicians, we provide quality assurance construction monitoring complying with building codes and project specifications. For more information about our parking garage condition assessments, please contact us Toll Free at or +1-866-562-8549 or 770-995-8000. 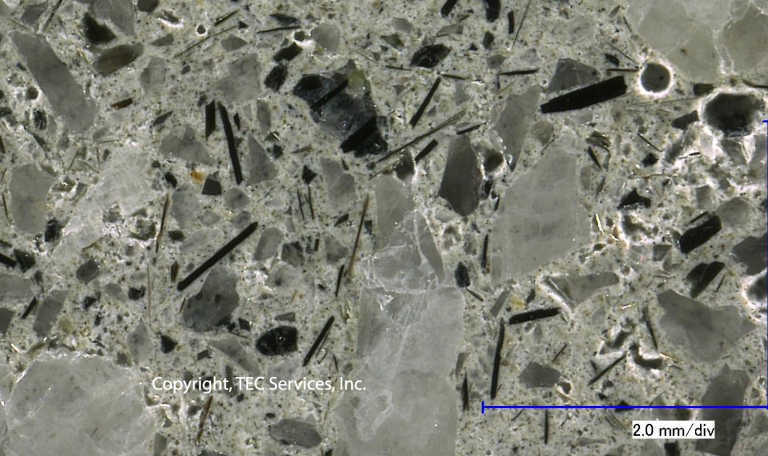 After the sample core has been cut and polished, A TEC Services Inc. petrographer microscopically observes the material to determine potential causes of and solutions to the distress.